If you have been a home hunter you will probably notice that most houses are separated by a metal fence. In the past, these borders were generally defined by wooden fencing. 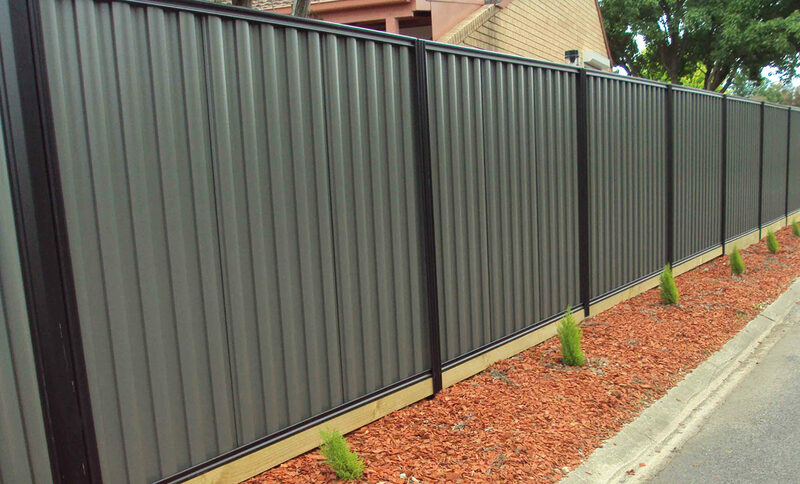 Nowadays the preferred product is either Colorbond® or Zincalume®. Have you bought the land and had the house built and a fence erected? If so do a quick check to make sure to identify if there are any metal chips or filings left on the paintwork. Simply hose down then wipe the fence clean. Metal filings and chips if left can create corrosion. If you have a pool then hose down the fence after use if there are water splashes. Pools contain chemicals that can corrode the fence. Do this immediately after use before the water drys. Try not to lean any objects against the fence. This includes lead, copper, bare steel, stainless steel, timber and concrete. Inevitably the fence may become scratched. This is not a major issue and should not affect the life of the fence. Make sure you hose down the fence at least every six months. If you are closer to the coast then do this every 3 months. Be careful not to spray any fertiliser on the fence when you are maintaining your garden beds. 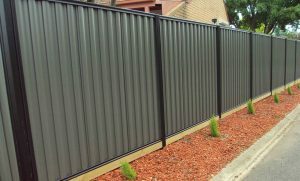 Fertilisers can contain corrosive chemicals which will damage the fence. Make sure to hose it off with clean water if you do accidentally get some on the fence. Keep soil from building up along the bottom of the fence to prevent corrosion or mould/fungus forming. Once a year you might want to check on gate hinges. Add a couple of drops of oil on each hinge. Any type of oil should do the job. Check all the hinge screws to make sure they are tight and in place. If there are any hinge screws missing then replace them.